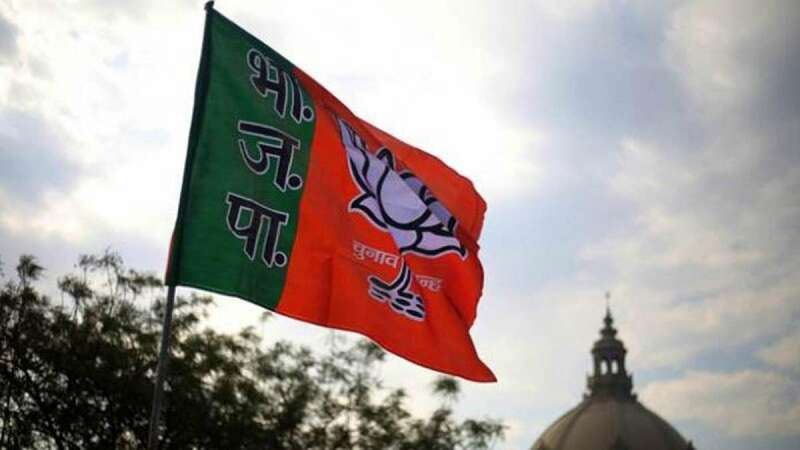 Lucknow : The ruling Bharatiya Janata Party (BJP) is set for a massive win in the civic polls in Uttar Pradesh, with its mayoral candidates taking an unassailable lead in 13 of the 16 municipal corporations. The Bahujan Samaj Party (BSP) which was decimated in the 2014 Lok Sabha Polls and the 2017 state assembly elections, however, made a comeback, leading in the remaining three municipal corporations. It is for the first time that the BSP has contested the urban body polls on the party symbol. Earlier it used to extend support to independent candidates. The BJP's mayoral candidate in the crucial seat of Ayodhya -- the hotbed of the BJP's Hindutva brand of politics -- has won. Vote counting is also underway for the 5,434 Nagar Panchayat member seats and 5,261 corporator seats but in these independents have taken a major lead. Of the 5,434 Nagar Panchayat seats, independents have won 522 seats so far and the BJP is leading in 132 seats, the Samajwadi Party (SP) 69, BSP 53 and Congress 13. In the corporator polls, of the 5,261 seats where counting is underway, independents are leading in 212 seats, BJP (28), BSP (24) and SP (12). There are 79,113 candidates in the fray for the corporator seats. Counting is on at 334 places. The BJP candidate is leading in the mayoral seat of this city. Till the end of the 14th round of counting Asha Sharma of the BJP had polled 1,50,805 votes and stood first, while the BSP's, Munni Chaudhary stood second by getting 62,938 votes. Dolly Sharma of the Congress got 61,554 votes and stood third. Rashi Garg of the Samajwadi Party stood 4th after receiving 23,220 votes. With a decisive lead over her Samajwadi Party (SP) rival, BJP's Sanyukta Bhatia is set to be the first woman mayor of the state capital, as the vote count neared the end, officials said on Friday afternoon. Bhatia would be the first women to hold the mayor's post in Lucknow in 100 years. The UP Municipal Act came into being in 1916. Bhatia is set to succeed Dinesh Sharma, who after two terms as the Lucknow Mayor was elevated as Deputy Chief Minister in March after the huge victory of the BJP in the state assembly elections. Lucknow voted on November 26 to elect its new mayor. In the vote count till 1 p.m., the BJP had got 99,243 votes while SP candidate Meera Vardhan had polled 60,740, Congress's Prema Awasthi 27,231 and BSP's Bulbul Godiyal 21,005 votes. The Congress's bad run in the state continues and its candidates are faring poorly in most places. Even in party pocket borough Amethi, the party's candidates are trailing way behind in the Nagar Panchayat chairman posts. The Mathura mayor's seat has been won by the BJP's Mukesh Arya Bandhu who defeated his nearest Congress rival Mohan Singh. The Ayodhya seat was won by the BJP's Rishikesh Upadhyaya. In the counting so far, the BJP's Sitaram Jaiswal was leading in the mayoral polls after the fifth round in Kanpur. In Firozabad, the BJP's Nutan Rathore was cruising ahead to the finishing line with a 52,000-vote lead over her nearest BSP rival. The Aam Aadmi Party (AAP) has also made some forays with two seats in the municipal polls. It is also leading in a dozen other seats, party spokesman Vaibhav Maheshwari said. While the BSP has fared better than in the past, the Samajwadi Party (SP) despite the hype is faring very poorly in most places, including in its strongholds of Etah, Etawah, Mainpuri, Firozabad and Kannauj.